That is a good question, Kathleen! I also frequently have inmates in my jails who request (or demand) copies of all of their medical records. Prisons typically do not have this problem because every state prison system (that I am aware of) already has a detailed policy and procedure on how to deal with inmate requests for medical records. Medical personnel are often not even involved in the procedure. But many jails, like yours, do not have a policy and are commonly confused about their obligations when inmates want copies of medical records. Does HIPAA give inmates have a legal right to their medical records? 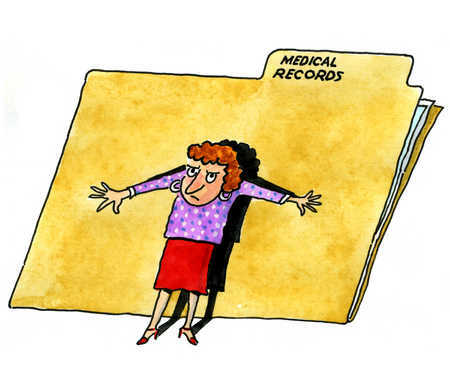 What if there is sensitive information in the medical records? What about mental health records? Does it matter if the inmate wants to sue me? Some medical files are huge. Do I have to copy everything? If we have obtained medical records from an outside clinic, do I have to give the inmate those records, as well? How long do I have to respond to their request? Can I charge the inmate for my time and effort? What if the inmate has been released and then requests copies of her medical records? I have had all of these issues come up in my jails. This is such a frequent occurrence, and is so emotionally charged, that every jail should have a written policy on what to do when an inmate requests copies of his medical records. Believe it or not, it turns out that HIPAA has a section specifically dealing with medical records in corrections. And so, Kathleen, today’s JailMedicine post will review the HIPAA guidelines for corrections, answer all of your questions and make suggestions to help you write a medical record policy for your facility. All of the information you need to write your guideline is contained in the Code of Federal Regulations (abbreviated CFR) 164.524, found here. You should begin by reading this in its entirety. Don’t worry, it is only 3 pages long and not as dense as many government documents are. Even I could understand it! CFR 164.524 answers every one of the questions we posed earlier. Do inmates have an unrestricted right to obtain their own health records? It is different for people not in jail. Unincarcerated people do have a right, according to HIPAA, “to inspect or to obtain a copy of” their own medical records (with some exceptions). But HIPAA grants an exemption to this basic policy for correctional institutions. Memorize this! So as long as you can honestly say that having a copy of their medical records back in the dorms might cause a problem, you can legally deny the inmate’s request for a copy of his health records. Some jails have used this passage to issue blanket denials to all inmate requests for medical records. But I personally think a total record “black-out” is a mistake. If you flat out deny an inmate any type of access to medical records, this implies that you are hiding something. And a resourceful inmate will eventually be able to get those medical records anyway; by using a subpoena from their attorney for example or even through a court order. What do you think the average judge would say about a total ban on access to medical records? I don’t want to find out! Also, note this: The section about incarcerated inmates left out the word “inspect.” Incarcerated inmates may be denied a copy of their records, but the relevant section does not say they can’t inspect their records. So, Kathleen, you may legally not allow your inmates to take a copy of their medical records back to their dorm but, in my opinion, you should allow them to inspect their own medical records. At my jails, we do this by making a photocopy of the inmate’s records and then putting the inmate in a room with those records and a pencil and paper. The inmate can have as much time as he wants inspecting the records and making notes or whatever. When he is finished, he can keep his notes, but not the medical records themselves. If the inmate has paid for these copies, I typically put them in the patient’s property. What about mental health records? What if the inmate wants to use the records to sue me? Well, this one is a double edged sword. CFR 164.524 (a) (1) (ii) says that medical records information may be withheld from any individual, whether incarcerated or not, if there is “reasonable anticipation of . . . a civil, criminal, or administrative action” in which the information is relevant. So if you are sure the inmate intends to use the medical record information to prepare a lawsuit, you can refuse even to allow an inspection. But once again, a blanket refusal implies that you are covering something up. You may be adding fuel to the fire. The inmate might think “This proves that I have a case! They won’t even show me the records.” And, again, inmates can get the records despite your refusal via a subpoena. It might be the best policy to simply let the inmate inspect her medical records anyway. I have had several inmates change their minds about a lawsuit after they inspected the medical records and did not find the “smoking gun” that they expected. If you are not sure, ask your legal counsel! What about records we have obtained from other facilities? It is pretty common for jails to obtain records from previous providers, hospitals, and clinics. If the inmate wants to inspect her health records, should we include those outside records as well? The answer to this has to do with the fact that the outside clinic, hospital and the jail medical clinic are all separate “covered entitities” under HIPAA. The patient has requested records from one covered entity: the jail. To get the records from another, separate, covered entity, the patient should properly contact that facility directly. Said more succinctly, No, you don’t have to include outside records in the records the inmate will inspect. How long do I have to respond to the request? CFR 164.524 (2) (i) says “. . . the covered entity must act on a request for access no later than 30 days after receipt of the request . . .” So there is your answer. 30 days. 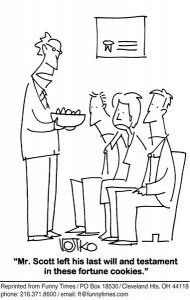 Can I charge the inmate for this service? Why yes, you can! Fees are discussed in section (4). You can charge the inmate “reasonable” costs of copying or printing records for inspection. The keyword here is “reasonable.” In my opinion, you should charge no more than what is charged in the community. Ask your jail attorney what she charges to make copies for opposing counsel, and charge that! Some jails I am aware of think that the hassle of billing and collecting fees is greater than the money they collect, so they either waive the fees entirely or charge a $5.00 flat fee. Your choice. What if the medical file is huge? Do I have to copy everything? Well, you have a couple of options here. The first is to ask the patient what exactly he wants to see. Maybe he is just interested in the medical records relating to his back pain and doesn’t want to see the records of his visits to the dentist or when he had a rash and a cold. He may also not be able to afford the fees to copy the whole medical records and so will ask you to only copy certain things for his inspection. Also, CFR 164.524 (2) (ii) allows you to provide a written summary instead of the actual records if the patient agrees to this. What if the inmate has been released and then requests the information? Well, now the situation is different: the patient is no longer an inmate. And “an individual has a right of access to inspect and obtain a copy” of their medical records. As stated before, one exception to this right is if there is “reasonable anticipation of, or for use in . . .” litigation. I would certainly get the advice of your jail attorney before deciding NOT to send any records to a former inmate. You again can and, in this case, should charge reasonable fees, including postage, payable in advance. Putting it all together. A typical scenario. 1. Per CFR 164.524, she will be allowed to inspect her medical records but not take them back to the housing dorm. Within the next 30 days, the inmate is placed in a room with the copy of the records and enough paper and pencil to take notes. You should take care that none of the copies are smuggled back to the dorm. You can do this by having a monitor in the room during the entire inspection. Alternatively, you can number all of the pages of the medical record so that it is easy to determine that the file is intact at the end of the inspection. Finally, the copy of the medical record is then placed in a file for future reference or in the inmate’s property. Mandatory Disclaimer: Though I have talked to several attorneys about CFR 164.524, the opinions in this blog post are my own. I could be wrong! You should consult your own jail attorney when you set up your jail’s policy and procedure regarding inmate access to medical records. What do you do in your facility when an inmate asks for copies of their medical records? Do you have a different procedure than is presented here? Please comment! This entry was posted in Guideline, Inmate issues, Legal matters, Practice Management and tagged correctional medicine, evidence based medicine, HIPAA, inmates, jail medicine, jails, Medical Records, prisons on July 10, 2015 by Jeffrey Keller MD. I was surprised to see that HIPAA has exceptions to always allowing inmate patients to receive their medical records. Other than mental health medical records, what are situations in which releasing the medical records would “. . . jeopardize the health, safety, security, custody, or rehabilitation of the individual or of other inmates, or the safety of any officer, employee, or other person at the correctional institution . . .”? Failure to release medical records sounds like one has something to hide. Patients should be allowed to know what’s going on with their medical care. We don’t always take the time to explain this to inmate patients. An informed patient is a better patient. If we are reluctant to allow patients to see their medical record perhaps we are not confident in our care. I heard one doc say the reason he writes so poorly was so nobody would be able to hold against him what he wrote. That is terrible, and lacks his security in his medical care. Allow inmate patients access to their records. It will assure better medical care and have a happier patient. Denying this is practicing defensive medicine. Don’t do that. Practice defensible medicine; not defensive medicine. I agree with you, Charles! We in corrections might be a little paranoid about allowing inmates access to medical records. It is true that many inmates want to see their records to bolster some sort of lawsuit. But as long as the medical decision making process is well-documented, showing the inmate the records will discourage more lawsuits than it will enable. How do these rules apply to a juvenile in a county juvenile facility? Many parents will request medical records. Give it to them. As a parent wouldn’t you want to know what care your child received? I do. Agreed – give it to them; however, here it is also important to follow the law. Some states say that once in custody they become ‘wards of the state’ and any parental input is welcome but the decisions remain the province of the ‘state’. Others have varying degrees of ‘custody’ rules. That said – I (fortunately) have limited experience with juveniles (except the chronological adults with juvenile minds) and would believe that it is important to look at both federal (I have not had to plumbed the depths of that in relation to inmates) and state. When offenders ask for a record ‘because they want them’; or a lawyer wants the record – we send all those (except for those by agencies such as Social Security, etc.) to the county lawyer for review. Another problem with allowing records to be taken by the inmate ‘back to the dorm’ is that they have no ability to protect them from the other inmates – no secure storage. Although there may be state laws regarding health record management – most of them do not specifically address the health records of inmates. It is a tricky legal issue but in general when there is a federal law; unless the state law speaks to the issue the federal law is primary and state laws cannot ‘reverse’ the federal law but may modify them. Should anyone wish our policy on health records could be made available as a resource and the Federal Bureau of Prisons web site has many policies ‘online’ that can serve as a resource. 2) You state: ” It is a tricky legal issue but in general when there is a federal law; unless the state law speaks to the issue the federal law is primary and state laws cannot ‘reverse’ the federal law but may modify them.” State laws CANNOT modify federal law. Federal law, when applicable, always supersedes state law. Granted – I’m all for inmate responsibility – but as long as they are in our care we must prevent any harm that we can predict – else wise assaults & suicides would be no problem. State law can constrict federal law – as in make it necessary to have a permit to carry a weapon (or not). States can ‘modify’ federal laws so long as they do not reverse or obstruct the purpose of the federal law. Oh! and state judges are not always aware of the federal applications to a situation. Al, your points are well taken. Your are correct. States may make a federal law more, not less, stringent. We have to abide by the higher standard. The same is true in doing a accreditation survey in a facility. There may be NCCHC standards, local facility standards, state law and federal law. (The NCCHC standards should not violate federal law,) When doing survey, we must look to the higher standard to determine whether or not that standard is met. For example, some states do not have a minimum number of hours for CME. NCCHC has a requirement of 12 hrs./year. Therefore they must have 12hrs/yr. However, if the state law was 24hr/yr. ; they must have 24. No comment on the wisdom of some judges. We have a specific procedure that they have to strictly comply with and prior to printing off the records. This includes a the numbers of pages for coping the records, the cost to purchase for self use and most of the outside consult appointment pages will not be included as they are property of the contracted facility paid to evaluated them. If they get out and they have their PMD request the records we will get them a copy with charge for continuity of care after release. Is this correct? Don’t they become part of the patient’s correctional facility medical record, and therefore the facilities’ property? Shouldn’t the patient also have access and be able to obtain those records without going through additional hoops? As I read these threads, it appears facilities come up with fictitious reasons to NOT give their patients medical records. What are correctional facilities afraid of? If you do a good job; you have nothing to fear. Yes, inmates are inmates and their job is to create havoc. Have confidence in your medical care! 1. Health records as ‘property’ – the health record (in any organizational setting) has three ‘owners’; the patient: information provided and results of participation in treatment; provider: examination findings, test results, observations and diagnostic deliberation / findings; organization: the physical documents / folders, etc. 2. Consult reports, community records, hospital (or other facility) records – are first the ‘property’ of the consultant / facility, etc. In 1 & 2 above the issue is that any ‘release must be open to review by the ‘owner’ prior to release; as that entity (provider, organization) has specific duties to the information that must be honored – hence release of any record from any other organization / provider must come from the source. Yes, inmates are inmates – but that does not mean I have to contribute to the havoc. These are not ‘fictitious’ issues but often the inmates issues are ‘factitious’. In truth, the ‘rules’ are easily available in the public domain and any one who works in correctional health should be aware of them (law based policy is good). The best ROI (Release of information) should come from the community provider – we always honor those and do not charge. Interesting article. Sad that inmates are denied their medical records. Actually, it is criminal. Charging someone who has no money for their medical records is the same as denying them their medical records. Disgusting. I respectfully disagree. What it actually says is that the information which can be WITHHELD is “information compiled in reasonable anticipation of, or for use in, a civil, criminal, or administrative action or proceeding.” That is typically only a small part of the record, if any part at all. The gist of it is that you CAN’T be forced to turn over your defense work-product, but you MUST turn over all the records kept in the ordinary course of treatment to the patient. Thanks, Rob! I am not an attorney (of course) so most of the legal interpretation I used was from lectures given at NCCHC and from speaking with correctional attorneys. Personally, I will not withhold medical records from an inmate even if he has expressly said that he intends to sue me. My reasoning is that withholding the records actually strengthens his case and his resolve (“I must have a good case because they are hiding the records from me!”) Instead, I am usually very confident in the quality of the medical care and I want the inmate to see that. Most of the time, even if the inmate has said he intends to sue, he doesn’t after looking at the medical record. In our facility, all medical records are released through the county attorney’s office after a GRAMA request is submitted. Whether it’s a request from inmates for medical records (“my attorney needs them for court.” is the usual reason given) or the family of inmates who claim to have power of attorney or HIPAA releases, it’s the same. It’s a legal issue, so let the legal experts decide what gets released. Other states may have similar statues, so check with your county or state attorney’s office. Once released, and you do get your health records for the purpose of continuing you needed care. And want to give it to a new Doctor, Can I redact by blocking out the word ” while incarcerated” or “in prison”? The jail will not redact anything. I think – on first reflection – the question is why would you want to do that? It would seem to me (maybe only me) that the fact that a patient went to jail is important to their care in so many ways. That aside, the only reason to ‘redact’ any information would be based upon the parameters of CFR 45 (HIPPA) and CFR 42 (SA & MH) and any strictures levied by the ROI itself. Anything else would be inappropriate. HHS makes it clear that you are NOT allowed to charge people a fee to inspect their records. This includes a fee to make copies that they are only allowed to inspect, not keep. So if facilities follow the procedure you recommend, of making copies for an individual to inspect but not keep, they cannot charge for the copies – contrary to what you recommend. “Can an individual be charged a fee if the individual requests only to inspect her PHI at the covered entity (i.e., does not request that the covered entity produce a copy of the PHI)? Thanks for the comment, Rebekah. I agree that inmates may not be charged for simply inspecting their original health records. If, however, you make a photocopy of their health records, allow them to inspect that, and then place the copy in their property, than I believe you can charge them for the cost of copying (at least, that is what I have been told). That also allows them to re-inspect the records at any time, with the assistance of security.